This is not good news. As you know by now, I have been in the Real Estate business for over 45 years and I have experienced first hand the effects of the Business Cycle and the Real Estate Cycle. My first experience with a Cycle Completion taught me to respect the sheer and unforgiving power of the Cycle and I have been a Student ever since. I will share what I have learned. There is a Cycle to Everything; rain, drought, moon, eclipse, orbits, Sun Spots, and what I am concerned with today, the Real Estate Cycle. Edward R. Dewy, Phil Anderson, and several contemporary researchers have identified the 18.5 year cycle for housing. The Great Financial Crisis and the bursting of the unsustainable Housing Bubble is an indelible period burned in many Investors memories. The decline started really in 2007 and accelerated into 2008. My Home market is the Phoenix MSA ; one of the 4 most adversely affected markets in the Nation. I definitely remember! What is harder to pinpoint is the bottom of the trough as it becomes a process drawn out over several months. However, in the Phoenix MSA, bottom was achieved sometime in the very late 2009 to very early 2010. Virtually all of the troubled markets seemed to bottom together. In my Conferences, I use January 1, 2010 as the turning point. Researchers and statistics indicate the Real Estate cycle is 18.5 years which places the next bottom July 1, 2028; in a perfect world. That is almost 10 years from now: so what? Get out of Debt, Raise Cash, Sell any marginal Property NOW!!! Review Financial Vulnerabilities to Equities and Bonds. Reduce Risk! 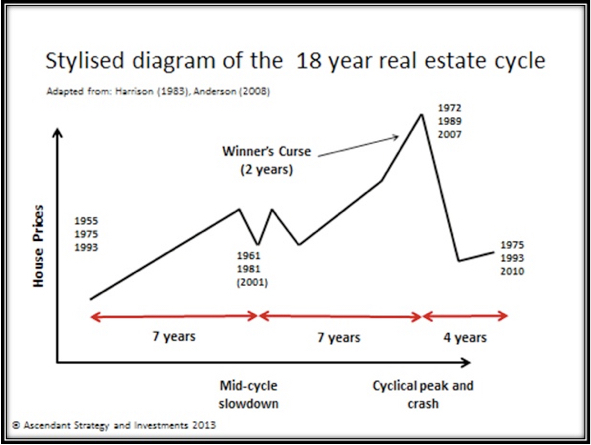 The Real Estate Cycle keeps repeating itself over and over again. Cycle data in the US recorded as far back as 300 years; to pre-revolution! Also repeating in the data is a period of vulnerability for a Housing Correction 7.5 to 9.5 years from the bottom. This corresponds to July 2017 to June 2019; the current time frame! These corrections can be very vicious or relatively mild. My personal concern is for an Epic Correction. When investing, these cycles become exit and entry points for Capital Deployment as well harbingers for Economic Distress for Real Estate Slowdowns seem to be always accompanied by a Stock, Bond, or Economic corrections which will affect jobs, interest rates, Foreign Exchange, and therefore businesses and families. Forewarned is forearmed. I have been warning about this vulnerability for 18 months; advising to raise cash and reduce debt. 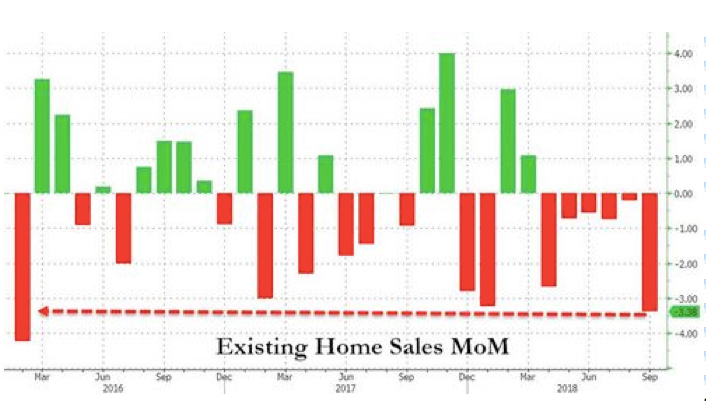 Nationally, Existing Home Sales have dropped for the last 7 months and September sales plunged! Indeed, as an example, the very vibrant Denver Market experienced a 30% drop in sales across all price ranges in a 30 day period from August to September. Declining sales is the preview to declining prices. The Correction in Housing has probably begun! This graph, courtesy of ECRI, clearly shows the decline. 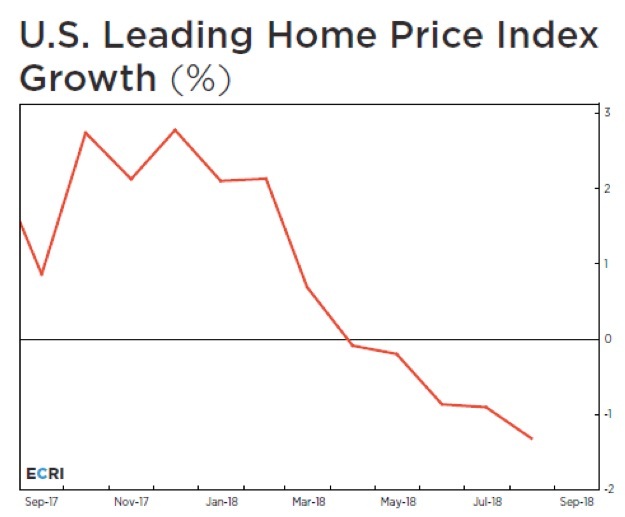 Someday, the cause of the decline will be researched, but now coupled with the Housing Correction is a Global Economic Slowdown underway causing turmoil overseas and ravaging the Emerging Markets. The Slowdown had been recognized by very few and the effects have not become apparent in the US yet. 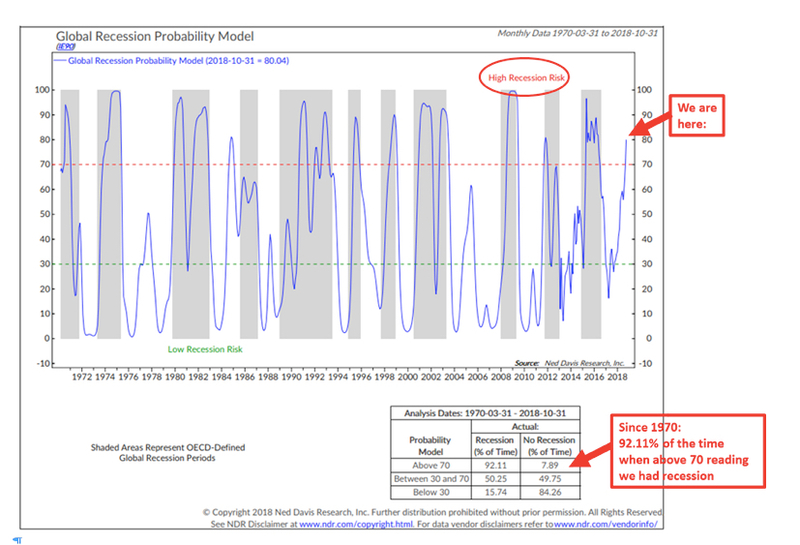 However, Ned Davis Research has released their recent findings with a 92% certainty that a Global Recession has already started or will very soon. Should a Recession arrive, employment and business will certainly suffer. However, Rental Properties actually improve. Cash flow from conservative rentals should provide a consistent Income Stream for you and your family. As buyers are removed from the Buying Market, the Rental Market actually improves as the demand for housing remains, but the ownership changes. A prepared Investor can actually make purchases at discounted prices and quickly lease them as demand for housing should remain. Get out of Debt, Raise Cash, Sell any marginal Property NOW!!! Review Financial Vulnerabilities to Equities and Bonds. Reduce Risk! Baby Boomers should look for cash flow from more conservative assets as the typical Stock Portfolio loss from a recession is 39.6%; at my age, an unacceptable loss. A vicious recession can put stock losses in the 60-90% range. Certainly a game Changer! Rentals should be assessed for tenant quality rather than maximizing Rental Rates. Mortgages should be reviewed for refinancing to fixed rate encumbrances. Core properties especially should be debt free or extremely low LTV’s to provide Income and act as a Lifeboat in any Turmoil. Protect your capital, Protect your Credit, protect your FAMILY! Please pray for those affected by the mass shooting tragedy in Pittsburgh, PA.
Matthew 7:12 So whatever you wish that others would do to you, do also to them, for this is the Law & the Prophets. Have a week full of kindness my friends!!! The decision to retire is a Financial Decision, not an Age Requirement! Once Financial Freedom is achieved, one’s Life’s Savings, Nest Egg, Capital Stack must be preserved. A simple recognition of Risk demands action! 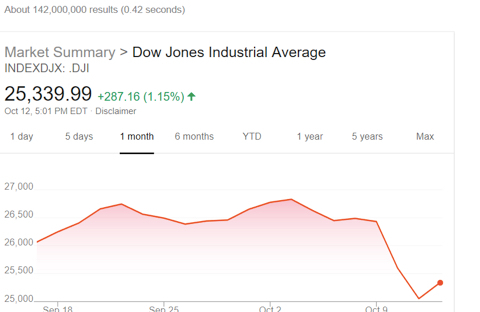 Everyone is always amazed at how quickly the Stock Market can drop! The Stock Market declined 1300 points in 7 days! Oct 3, the Dow recorded a nominal new high; in a video, I suggested that would be an outstanding time to take profits. The adage “you cannot go broke taking a profit” certainly applies. More than profits, take at least half out of Harm’s Way and reduce Risk and Exposure. 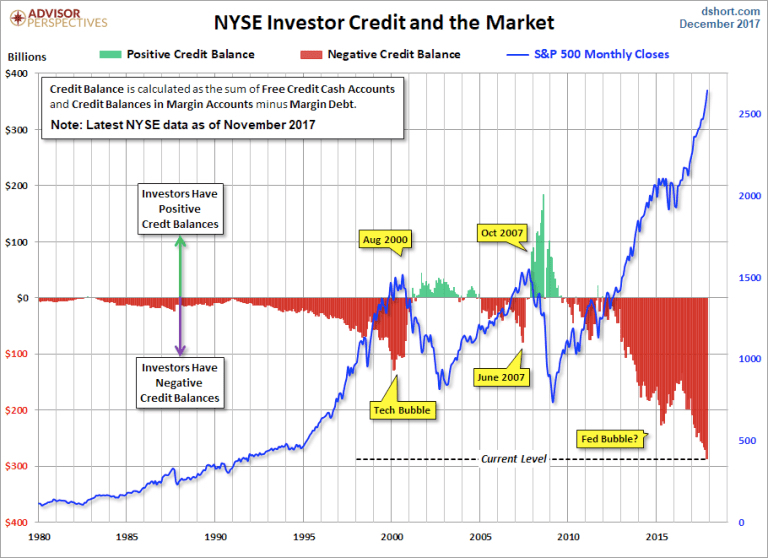 Back in February, when the Stock Market dropped 3000 points in just a few weeks and then stabilized, many analysis suggested the Market would recover to record a new high. Indeed, there was a gap on the S&P near 2830 which further suggested a return to the old highs. 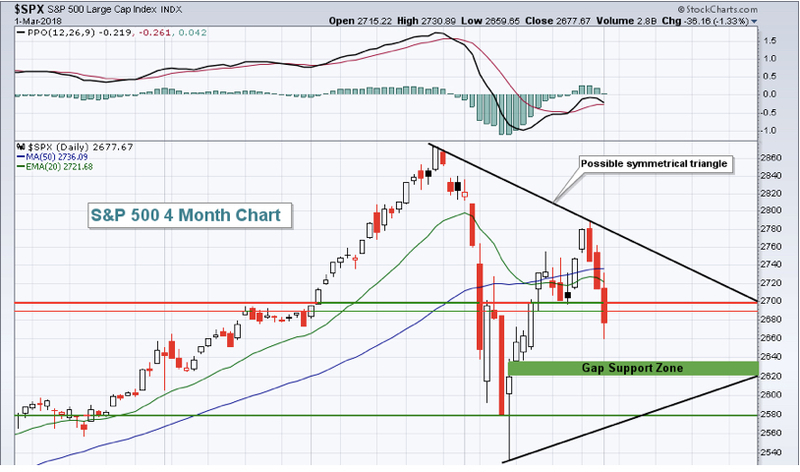 The market did recover and did make a nominal new high; perhaps a “Double Top? Only for a day! After 1300 points, the question now is will the Stock Market recover and again make another nominal new high or is the Top for this Cycle already achieved? The answer should not matter; as a baby Boomer, can we really take the chance? Can we assume the Risk? The decision to retire is a Financial Decision, not an Age Requirement! Once Financial Freedom is achieved, one’s Life’s Savings, Nest Egg, Capital Stack must be preserved. A simple recognition of Risk demands action! An assessment of Vulnerabilities should be conducted with your Financial Professional for your protection. By all measures, the current Stock Market has provided the participants with excellent returns; however, many metrics point to a vulnerable market. Although the current market may go considerably higher, there comes a time when Prudence demands thought; how much downside can be tolerated? There is Historic Margin debt financing the portfolios; leverage accentuates gains and creates tremendous profits in a Rising Market. A Declining Market creates “Air Pocket” plunges as margin Calls produce stock liquidations usually at precarious moments accelerating the downside. At 65, 69, or 72 years of age and beyond, there is no time to recover losses. There is no “Long Run” left! Should a portfolio experience a 39.6% decline which represents the losses incurred in a typical cycle completion, how would your Life be affected? The market may be Vulnerable, are YOU? There are times to be Aggressive; now is not one of them. Consider reducing exposure to Risk and increasing the Cash Flow component of your Wealth Portfolio. Risk cannot be totally eliminated, but can be drastically reduced. The recognition of change is a great advantage; there will be another Bull Market, it will just change asset classes. Consider accumulating very conservative rental properties in the entry level price range. Typically, there are very good opportunities close to everyone’s home. There are several strong growth markets across America that may provide conservative, consistent, cash flow for many years that may prove to be a “Lifeboat” for your Family and your Future.